Seasons Greetings from Jeff Lange! Celebrate the holidays with this new DVD featuring the 2016 Mickey’s Very Merry Christmas Party at Walt Disney World. Your Very Merry Christmas Party begins as you receive your Party wristband, which allows for a whole evening of fun in the Magic Kingdom! The main entrance is festooned with cheerful holiday decor. We stop for a Party guide map before heading to a new location this year, the Main Street bypass near Town Square Theater. 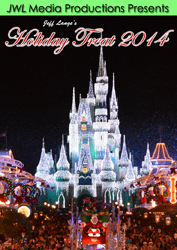 This area has special Christmas photo opportunities and a first holiday treat! We next meet Talking Mickey Mouse, dressed in his holiday finery. New this year are Nick & Judy from Zootopia in Tomorrowland. Other characters we meet include Donald Duck, Scrooge McDuck, Daisy Duck, Minnie Mouse and Jack Skellington as Sandy Claws! Anna, Elsa, Olaf and Kristoff add their own twist on the Cinderella Castle lighting in “A Frozen Holiday Wish”. Visiting from Arrendelle, Olaf wonders if there is anyone who can light the castle. With some nudging, Elsa uses her “fractally powers” to bring ice and snow to Cinderella Castle, which transforms into a splendorous, shimmering delight. “Have Yourself a Merry Little Christmas” as you enjoy this holiday tradition from the best parade spot in the Magic Kingdom, Christmas Tree Point! Mickey proclaims “It’s my favorite time of the year” as he joins Minnie atop a Christmas tree float. Characters including Winnie the Pooh, Piglet, Peter Pan, Wreck-It Ralph and Vanellope, along with Elsa, Anna and Olaf help celebrate the season. 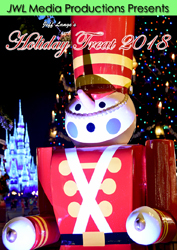 Perennial favorites include the gingerbread men, reindeer, toy soldiers, Goofy’s Candy Company and Santa Claus himself! Mickey, Minnie, Goofy and Pluto join Daisy Duck on the Cinderella Castle stage in the NEW “Mickey’s Most Merriest Celebration” show as they try to figure out where Donald is – he isn’t tech savvy! Once Donald appears, the fun begins. Disney friends begin arriving, including Clarabelle Cow, Woody and Jessie, Peter Pan with Wendy, and Mickey and Minnie in special costumes! There is bell ringing, fantastic projections on Cinderella Castle and much more in this spectacular show that can’t be missed. We make our our way through the Magic Kingdom, admiring holiday lighting in Tomorrowland. Reindeer and polar bears dance at Club Tinsel. We enjoy some holiday treats, with many being new this year – no longer just snickerdoodles and hot chocolate, there are more choices than ever. We make our way down Main Street, taking a lingering look at the Christmas tree, which is up again early this year. Our Mickey’s Very Merry Christmas Party night ends where it began, in front of the Main Street Train Station. 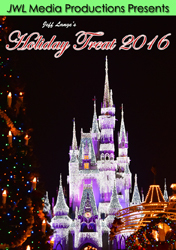 Pick up a copy of “Jeff Lange’s Holiday Treat 2016” today and relive all the magic or experience it for the first time. Seasons Greetings from Jeff Lange! 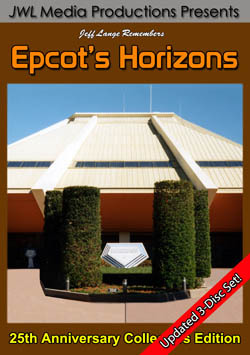 Celebrate the holidays with this new DVD featuring the 2015 Mickey’s Very Merry Christmas Party at Walt Disney World. Your Very Merry Christmas Party begins as you receive your Party wristband, which allows for a whole evening of fun in the Magic Kingdom! Christmas decor, including a festive floral Mickey head shaped like an ornament, sets the mood for a perfect night. The Magic Kingdom Christmas tree is up already, which is rare so early in the season. 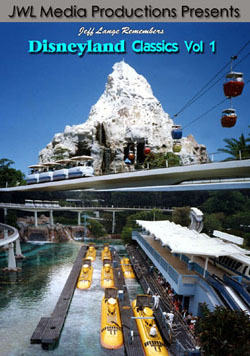 We stop for a Party guide map before heading to Storybook Circus, where many of the most popular characters meet! Daisy Duck, Minnie Mouse, Scrooge McDuck and Donald Duck in their holiday costumes help add the “merry” to the Party. 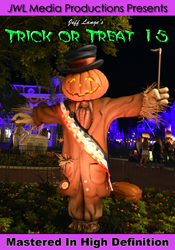 And Jack Skellington as Sandy Claws shows us around his new Storybook Circus location! Our last stop is meeting Mickey Mouse in his holiday finery, talking to us at Town Square Theater. “Have Yourself a Merry Little Christmas” as you enjoy this holiday tradition from the best parade spot in the Magic Kingdom, Christmas Tree Point! Mickey proclaims “It’s my favorite time of year” as he joins Minnie atop a Christmas tree float. New this year is Vanellope driving a gingerbread car. Back again are the “Frozen” characters, Anna & Elsa, Olaf and Kristoff, along with classic characters that include the Seven Dwarfs and Pooh characters. Perennial favorites include the gingerbread men, reindeer, toy soldiers and Santa Claus himself! This fireworks spectacular lights up the sky over the Magic Kingdom and Cinderella Castle. The show is a combination of six “acts”: The Spirit of the Season, The Spirit of Holiday Wonder, The Spirit of Sharing Hearth and Family, The Spirit of Holiday Childhood Fantasies, The Holiday Spirit in Each of Us, and Christmas All Around Us. Experience all of its splendor from multiple angles and fully enjoy the 180 degree fireworks finale! The Castle forecourt is never as festive as during this “joyous celebration” that features some of your favorite characters! Goofy dresses as Santa, and Minnie gets to open the present that Mickey gave her (he even dresses as a Nutcracker soldier). Sing along to jubilant Christmas carols in a segment which culminates in an explosive ending. New for 2015 are polar bears, replacing the horses that have been in the show for so long. 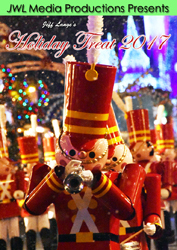 We stop for some complimentary holiday treats before making our way through the park to admire holiday lighting in Tomorrowland and Frontierland. One of Santa’s reindeer is meeting in Adventureland, a memorable moment in our night. We take a lingering look at Cinderella Castle in ice, which is accentuated by the lit turrets this year. Never has the castle looked more spectacular for the holidays! We walk down Main Street, taking in the holiday lights, windows and gaze upon the Christmas tree, so beautifully lit and adorned for Christmas. Our Mickey’s Very Merry Christmas Party night ends where it began, in front of the Main Street Train Station. 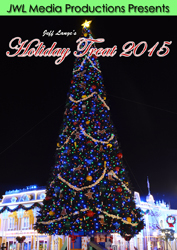 Pick up a copy of “Jeff Lange’s Holiday Treat 2015” today and relive all the magic or experience it for the first time. 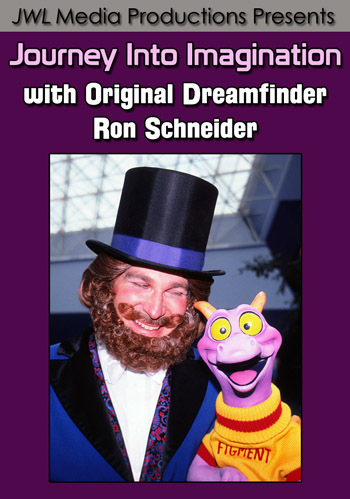 Disney Festival of Fantasy debuted on Sunday! This magnificent parade features many favorite characters, elaborate floats and a catchy musical score – not to mention a fire-breathing Maleficent dragon! We went during the first two days, picture perfect for photos and video! 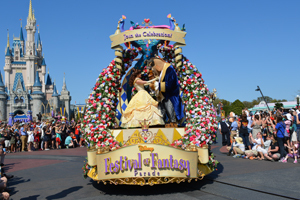 Belle and Beast (below, left) lead the princess float, which also is the title float. 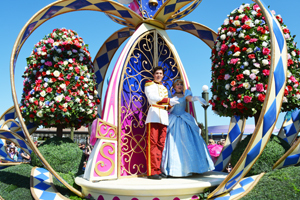 Cinderella and Prince Charming are next on the float (below, right).